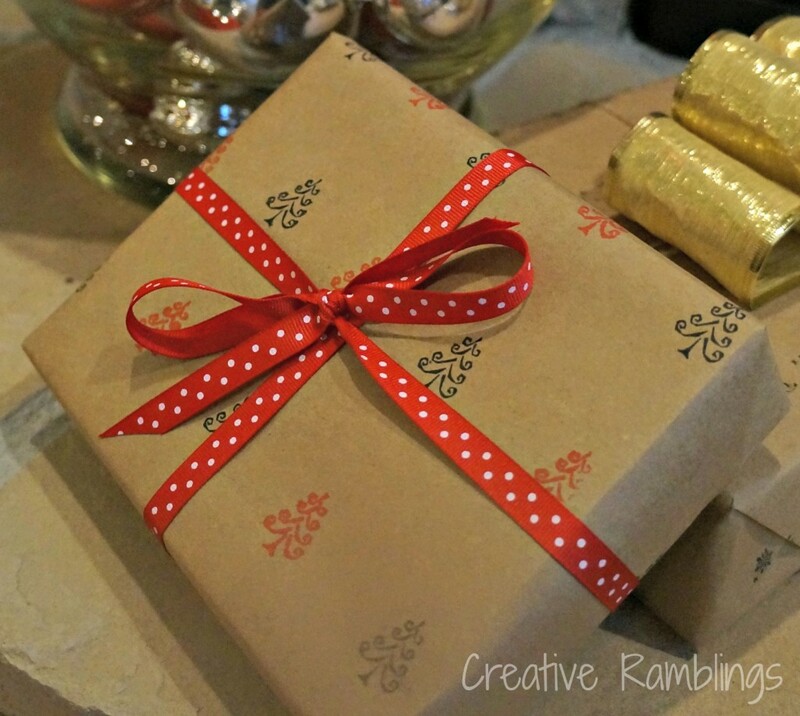 I love a pretty gift, for me wrapping is half the fun of giving. I love something with a little sparkle and pop, but also love the look of kraft paper and muted tones. I decided to do each gift a little different this year. 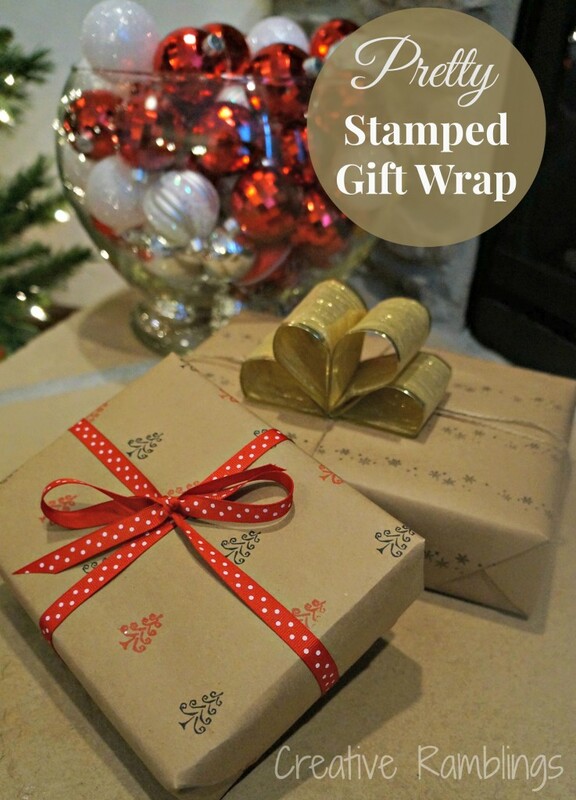 I started with a roll of Scotch Postal Wrapping Paper (affiliate link) as a blank slate. I rounded up a couple holiday stamps and went to town. On the first package I alternated red and black Christmas trees and tied it with a simple red and white polka dot bow. 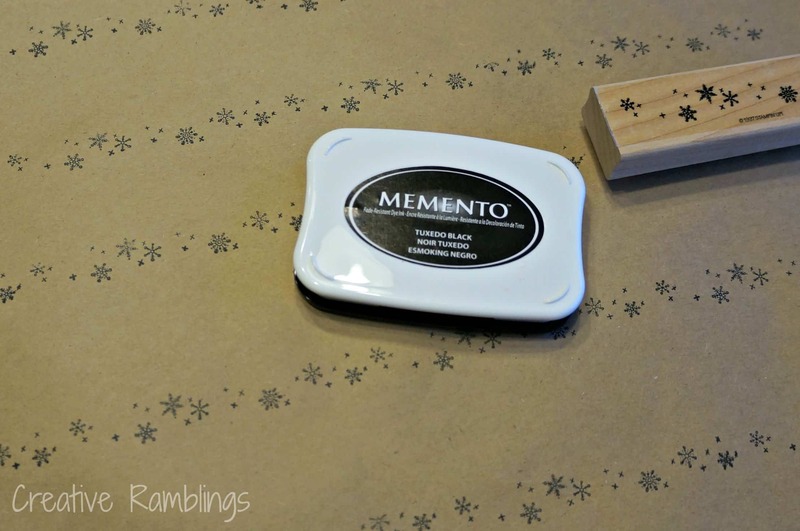 On this one I used a snowflake stamp and tied it up with twine. I looped a simple bow using a sparkley gold wire ribbon on top. I love how these turned out, I am hoping to do each one a little different this year. 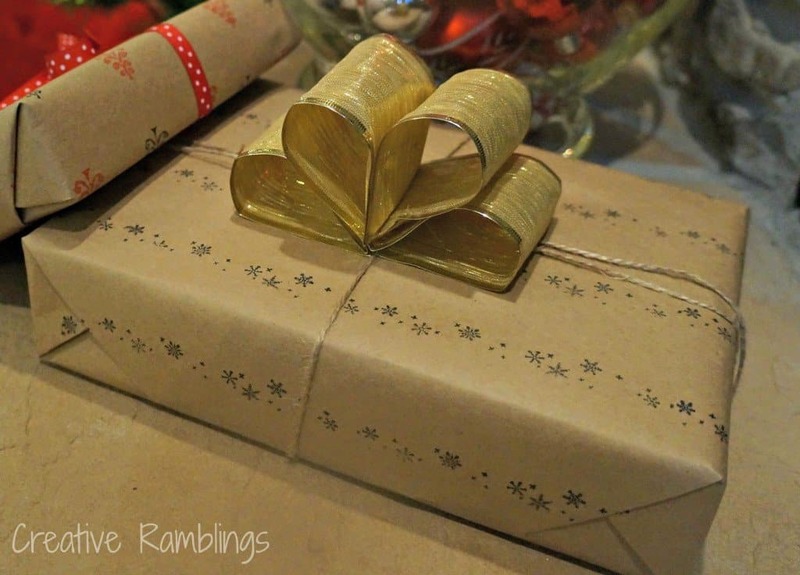 Do you love wrapping as much as I do? Tell me, what is your favorite finishing touch to add to a gift? Sarah, I absolutely love it! You have inspired me! That’s so cute and simple. I have to try this! 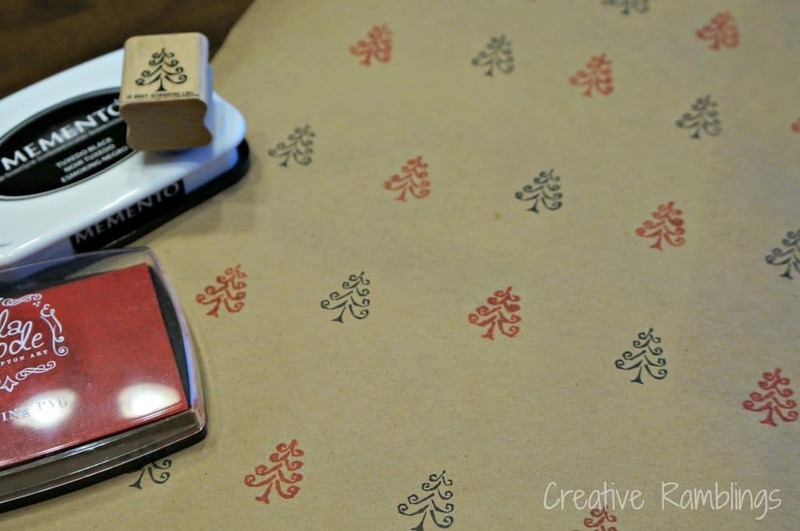 I may seriously have to take my stamps with me on my Christmas break just to make this gift wrap, love it! Thanks for sharing on the weekend re-Treat link party! Hope to see you again Thurs at 7PM EST.